Mobile modules come fully built with your branding, media, and social feeds, and are automatically linked to your merchandise. Each one is tailored to complement a specific event or campaign. We can also mix and match them for the perfect fit. The Conference Module delivers critical conference information directly to attendees' smart-devices. Along with floor maps, Wi-Fi access, booth info, schedules, and events, you can also offer whitepapers, new product info, or raffles to drive booth traffic and collect leads for sales. The Discount Deals Module engages fans with direct-2-mobile incentives and offers like coupons, promo-codes, rebates, trial offers, free consultations and more. Collect consumer emails while driving ecommerce, mcommerce and retail store traffic. 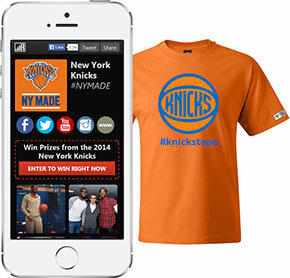 The Enter-To-Win Module is a fast, easy and fun way to engage fans at any event or promotion. 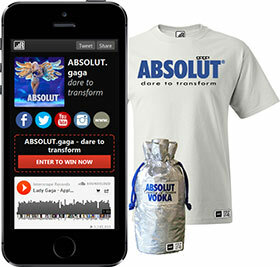 Fans enter your contest or sweepstakes by pressing a social-connect button or entering their email. This module posts fan data to the cloud in real-time and is available to you instantly. 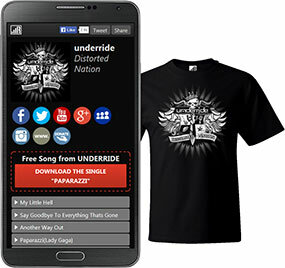 The Music Download Module leverages the power of music to inspire and connect with mobile fans. Stream music or offer controllable downloads from sound-tracks, sponsored artists or live event performances directly to your fan's mobile device. The App Installer Module helps you promote and drive installs of new or existing mobile apps launched by your company. 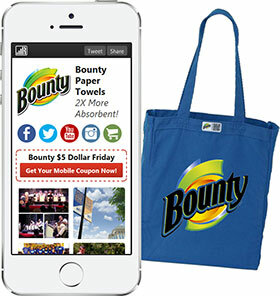 Use your existing promotional merchandise budget to connect mobile fans directly to your mobile app roll-out strategy and build your base today. 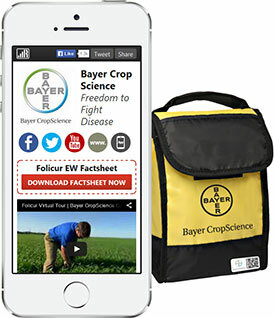 The Fund Raiser Module puts your promotional event merchandise to work! 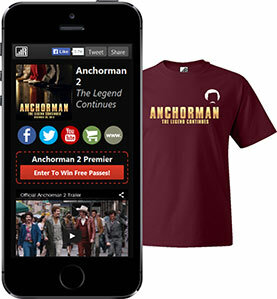 Drive awareness, sign-ups and donations using your existing merch budget. Deliver sponsor offers and incentives to your participants and volunteers while leveraging the power of social media and true real-time integration. The Non-Profit Charity Modules keeps your cause connected everywhere! Through the power of social media and mobile networks, inspire your volunteers to stay involved and spread the word. 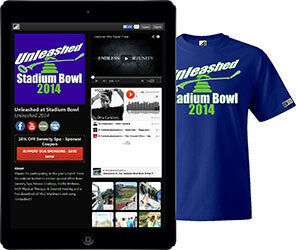 Drive newsletter sign-ups and awareness for up-coming events and leverage your merch in a whole new way. The College Recruiter Module connects your campaigns directly to mobile millennials during and after the event. 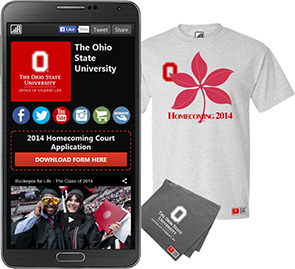 Deliver campus event invites, calendars, enrollment docs and social media connectivity to drive higher enrollment levels each fall. Go Buckeyes! The Trade Show Module transforms your merchandise into an interactive experience. 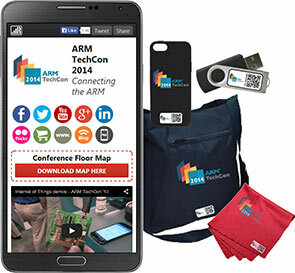 Deliver timely show and booth information directly to attendees smart-devices. Offer product info and whitepapers to drive traffic or collect sales leads throughout the year. 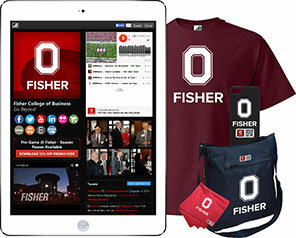 The Social Media Module connects any social network campaign directly to your promotional merchandise. Drive awareness, create buzz and enable fans of your brand to tweet, share and "like" when they are inspired the most! The Live Events Module turns your event into a complete interactive experience. 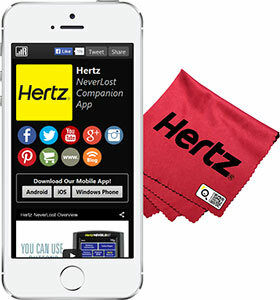 Your fans expect mobile so why not connect with them through your branded promotional merchandise? Deliver direct-2-fan event info, sponsor offers, concession coupons and much more using your existing merchandise budget! 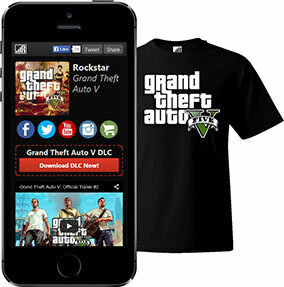 The Game Download Module taps into the gaming culture by using branded merch as way to connect on a deeper level. Promote new releases, live events, competitions, product enhancements and cross promotions through the merchandise that gamers love to wear. 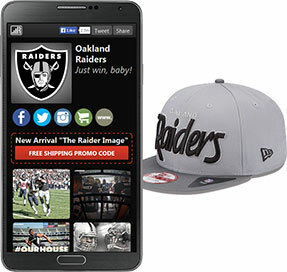 The Mobile Commerce Module boosts web store sales through the power of mobile. Drive additional sales for new or discontinued items by connecting into your existing guest check-out ecommerce platform. No need to change, just enhance what you have in place today. It's a complete turnkey solution! 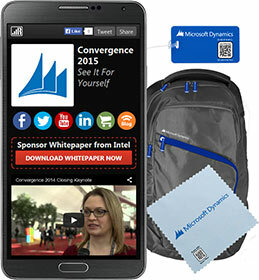 The Training Module gives your internal events merchandise a boost. Use your existing merch budget to spice up training and deliver information before, during and after the event. Drive internal awareness of new company initiatives, events or new product roll-outs. It's fun, easy and smart! 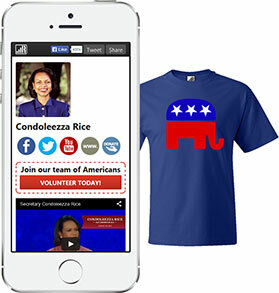 The Political Campaign Module leverages existing campaign merch to connect with volunteers, recruit constituents, deliver platform strategies, drive newsletter sign-ups and raise funds through donations. Tap into the power of mobile social networks to create a buzz in the public sector, generate votes, and win! 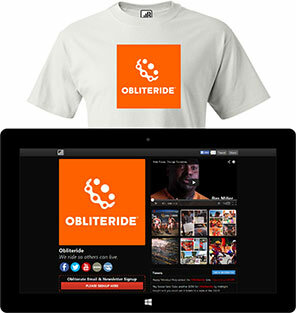 The Corporate Events Module turns your company event merchandise from bland and unattractive to fun and interactive! 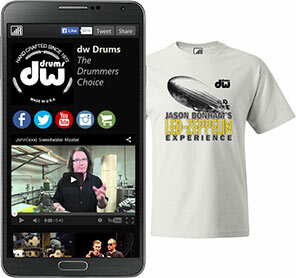 Deliver a rich-media mobile experience through your existing merch budget and "wow" your audience with streaming media and live social connectivity. The Exclusive Video Module gives you power to deliver the ultimate in exclusive rich-media, video! Engage your fans over mobile with live performances, presentations, executive briefs, interviews, rare recordings and so much more. Harness and extend the power and reach of your video! The Entertainment Module links, streams and connects your digital media components and social network efforts into one rich-media mobile experience. 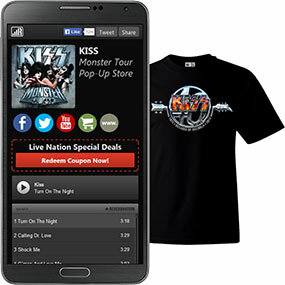 Leverage your existing merch budget as a new touch-point to mobile consumers. Incentify fans with exclusive offers and build a buzz around your new release! The VIP Rebate Module gives you an easy way to control the delivery of high-value rebate offers. Because each code is unique, you control the distribution of VIP incentives driving VIP results. A 1:1 connection with each fan enables a one-time controllable download and ensures proper distribution of your rebate.